Due to operations reasons, please note that our US Oregon (Tax-Free) office will be relocated to a new address. The new address will start operating on 10th February 2019. 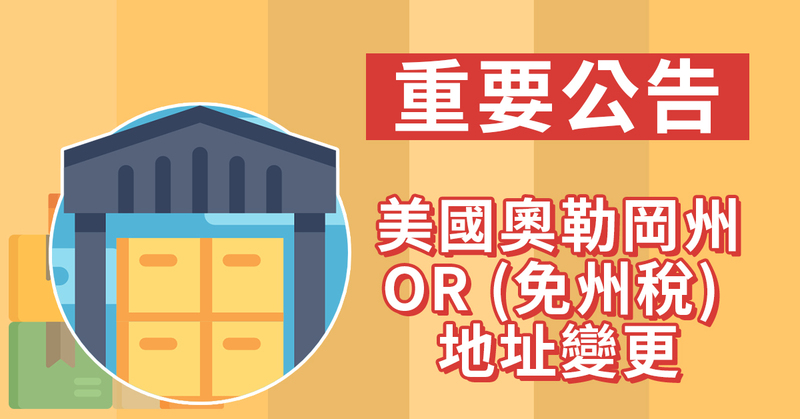 28th February 2019 (Thursday) will be the last date of receiving packages for the old address (Zip Code: 97202). Please DO NOT ship your packages after this day. The new address has been updated.